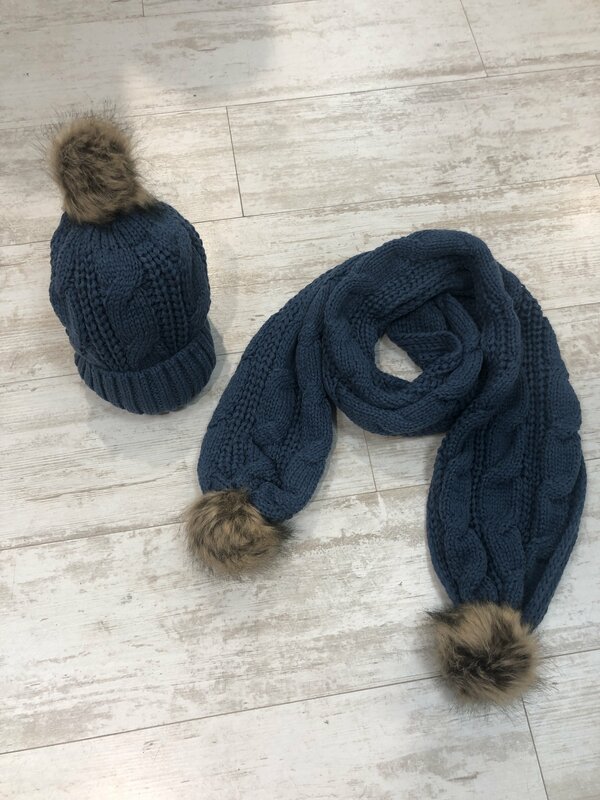 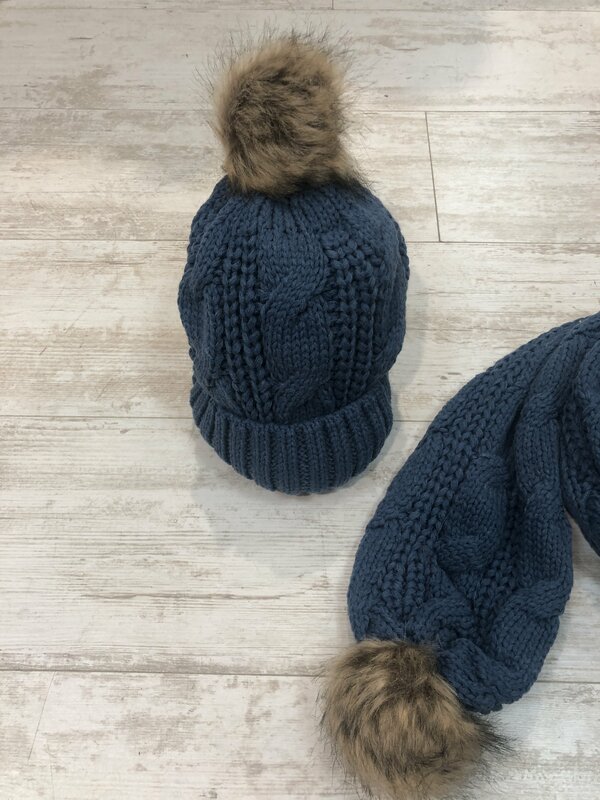 This beautiful knitted blue scarf and hat set would make the best Christmas present. 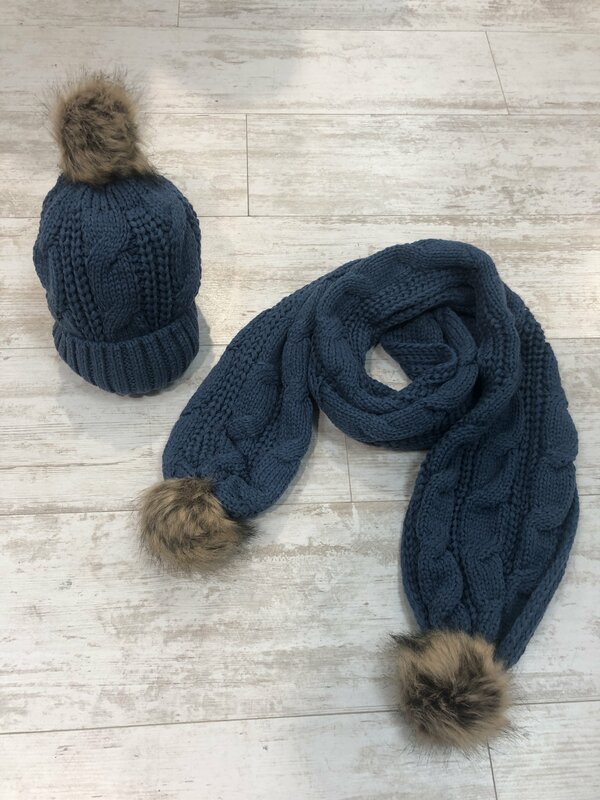 The Truffle coloured fur pom pom on the hat is so full and lush and paired with the scarf it is just beautiful. 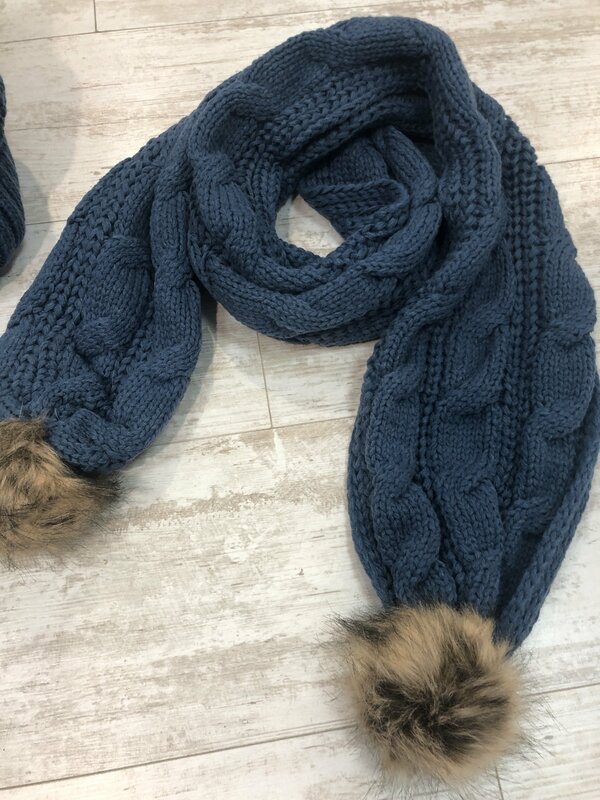 The two pom poms on the scarf add a lovely bit of glamour to the scarf.